The first step to creating a superb customer experience is to read Perfecting Your Customer Communication, where we have you envision the first part of the field service customer experience—from when the customer lands on your website to when you send an engineer—and look for any problems that get in the way of 100% customer satisfaction. In that post, we highlighted the most common problems customers might encounter when visiting your website or dealing with your office staff. In this post, we have the cures for those customer experience headaches. Download our full PDF guide that contains all the problems we're tackling in this four-part series—plus the solutions. First impressions count, so let's make sure your website gives customers confidence that you can get the job done right and create an excellent customer experience. Problem: Your business domain name doesn't exactly inspire confidence. SOLUTION: It's difficult to find a good, simple, powerful domain name for your business that isn't already taken. But resorting to hard-to-spell, impossible-to-pronounce, or spammy-sounding URLs can keep customers from even clicking on your website—much less hiring your business. We turned to our post How to Choose a Domain Name for tips on creating a brand-building, customer-attracting URL when all the good ones are taken. There are now hundreds of Top Level Domains, which is the part after the dot in a domain name. If .co.uk and .com are taken, take a look at unusual TLDs like .build, .repair, and .plumbing. Keep in mind that .biz and .info are perceived as spammy, and using TLDs that don't match your business—like buying a .org.uk address when you're not a non-profit—don't inspire trust in your field service business. Ask some friends, relatives, or customers to read your domain name and say it out loud, and another group to listen to your domain name and spell it. If customers tend to mangle your URL, you won't get many site visits. When a customer is searching for a plumbing, HVAC, electrical, or fire and security business, your domain name that pops up on Google is what they'll see first. Developing a professional domain will start off your customer's experience the right way. Problem: Your website isn't optimised for mobile. SOLUTION: These days customers expect to be able to research your business, subscribe to your emails, and schedule service right from their mobile devices. Here's expert advice on making sure your site works well on mobile. Gather a group of customers (you can always offer them an incentive) and ask them to perform various tasks on your website using their mobile devices, like tapping links, filling out forms, using the drop-down menu, and using your chat or call widgets. Any problems? You know what to work on first. Images that are too large, or the wrong type, or that have text embedded in them are bad for the user experience. You can find many tutorials online that will help you select the best images for mobile; visit Google's Developer site (developers.google.com) and search for 'optimise images' to see some good ones. In an article on Search Engine Land on optimising your site for Google's mobile-first index, author Ryan Shelley recommends ditching pop-ups, Flash, and too many redirects. The above tips are ones that you can do on your own with a little research. If your website problems are beyond your (or your staff's) capabilities, hire a designer with experience in creating a mobile-optimised experience for your customers. Yes, it costs money, but it's worth it if it bring in more jobs—and keeps current customers from defecting to the competition. Problem: Your website navigation is confusing. SOLUTION: The customer experience declines when they have to click on 10 links to get basic information on your hours or contact information, or if they can't find what they want at all because your menus or site structure are confusing. Here's how to fix it. Ask customers to use both their desktop/laptop computers and their mobile devices to find certain information on your site—like your hours of operation or your blog—and to offer you suggestions for improving the experience. We all like to be creative, but when it comes to your website navigation people expect to see it in certain places on your site. According to a post on the Kissmetrics blog on website navigation best practices, that's across the top or down the left side of the page. Website visitors also expect social media icons to be recognisable and easy to find. Be sure the items in your navigation menu make sense and visitors can tell what will happen when they click them. When they see 'Contact Us' or 'Get in touch' in the navbar, they know they can click on it and get your email address, phone number, and so on. When they see 'Send some love' or 'Say hello', on the other hand...what is that? Put key info front and center. Make sure that the most useful information is very easy to find. For example, you might put your contact details, hours, and a link to your FAQ in your website's footer, or add your phone number to the top of the page. Again, if getting your website's navigation up to par is too much for you or your staff to DIY, hire a website designer who's skilled in creating a good user experience. Need more help? We have an entire kit called Build a Better Website, which will help you with everything we talked about here, plus blogging basics, search engine optimisation, and more. You can download your free kit here. Your website did the job, and the customer is now ready to call or email your business to ask a question or schedule service. Let's blast through the obstacles that often pop up during this phase of the customer journey. Problem: There are few contact options. SOLUTION: Back in the day (the days before the internet, that is), you'd have a phone number and that's it. Now, however, customers want options. That may sounds pretty harsh, but it's true. 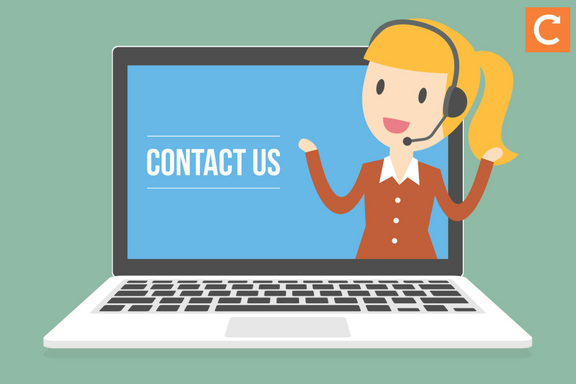 Even if you do have a contact form on your site, also include your phone number and mailing address, and you might even offer an SMS number and a chat widget. Be available to your customers in the way they want to reach you, and their happiness—and loyalty—will grow. Problem: Customers get stuck in voicemail jail. Solution: If customers have to listen to a long, outdated outgoing voicemail message and press lots of buttons just to leave a message, they'll likely move on to a field service business that can help them faster. Follow this advice to keep your customers moving quickly toward their goal. Hubspot suggests keeping your outgoing voicemail message short and sweet, and using humor only if your target customers would appreciate it. You don't have to answer every possible question in your outgoing message or voicemail tree. Instead of 'Press 1 to schedule service', try 'To schedule service, press 1'. That's because by the time the caller realises that's the option they want, they may have forgotten the extension. Make sure each branch of the voicemail tree has an end. If someone can't pick up immediately, your customer should be able to leave a message—and not be sent back to the beginning of the menu. Make it easy to check. Voicemail transcription services will let you, or your employees, read or listen to voicemails in email or SMS—so even if if you're on the go your customers won't have to wait to hear back. Some services will even let you have voicemails sent to more than one email address or to a group email. eReceptionist and Oxygen8 are two popular paid services. For smaller field service businesses, hullomail offers free visual voicemail, and free visual voicemail is also an option for iPhone and Android users as part of the phones' functionality. If your outgoing voicemail says, 'We're on holiday from 23 December to 31 December 2015', callers will think your company is as outdated as your email. Check your own message every so often to make sure it's up to date. Problem: It takes forever to get a call (or email) back. Solution: Quick responses make a customer feel important, and also increase their confidence in your business's capabilities. If your customer is calling for an emergency service, a quick response is even more crucial. That's your First Response Time, and it's an average of how long it takes to respond to phone calls (and emails). This number will give you a good idea of whether you're on the right track or you need improvement, and how aggressive your interventions need to be. Of course, the lower that number the better, but it also has to work with your business. If you're an SME and returning calls quickly would cut into the amount of time you're actually doing jobs, then you may need to be more lax than a larger business with a full office staff. If your customers' voicemails are languishing with no response, it could be because your business has no standards as to how quickly office staff should respond to calls and emails. "Unspoken standards" have no place in a business. Create a written policy that clearly states the acceptable time limits for responses. Your staff now know the standards, but do they have the training and tools to actually hit those FRT numbers? Slow response times might mean that your staff simply don't know how to prioritise their daily tasks. Schedule training sessions to outline your customer service expectations and how employees can meet them. Use email autoresponders with information on your hours, links to FAQs, and other information that can help customers until your office staff have a chance to respond personally. Set up time-based email alerts. If one of your staff members can't respond to a customer immediately—for example, they need more information first—they can set up reminders so the email isn't forgotten under a pile of other messages. SuperOffice and Boomerang for Gmail are examples of services that let you attach automated reminders to emails. Inexpensive technology solutions like these will help your office staff lower their response times and increase customer happiness. Problem: Your office staff don't know who customers are. Solution: Not knowing who a customer is, why they're calling, or their job history does not result in a positive customer experience. 'Repeating information they provided via an IVR (interactive voice response), or failing to prepopulate the service software system with the customer record based upon the customer phone number, can cause friction and customer frustration,' writes Ivan Moore of Jolt Consulting Group in an article for Field Technologies Online. Customers want to feel important, and part of that is recognising them when they call as if they're your favourite regulars at the local pub. Problem: Your office staff are disorganised. Solution: If customer voicemails and emails frequently disappear, your office staff are buried under piles of paper, and everyone is running around in emergency mode, the chaos can cause important tasks—like, say, scheduling service appointments or returning calls—to fall through the cracks. Conduct a print audit to figure out where you're using paper unnecessarily. Throw out any papers that aren't helping your business or customers, and that you don't need to save to comply with regulations. Digitise what's left. Scan paper documents you want to save, and look into tech solutions that let you create, track, and manage information sans paper. You don't have to go 100% paperless to see the benefits, but helping your office staff dig out from underneath those piles of paper will let them spend their time helping customers instead of looking for lost documents. You've smoothed out the first part of the customer journey and created a positive experience that your customers will remember (and share with others they know). If you prefer to read offline or want to share this info with your staff, download our full guide, How to Create the Perfect Customer Experience—From First Call to Final Invoice (And Beyond), by clicking the banner below. You'll get everything you read here, plus the solutions to the rest of the customer experience problems we discuss in this four-part series.